Composer Hugh Wood is known for his powerfully communicative and lyrical music. This latest release presents a selection of songs spanning his career. They are set to poems by DH Lawrence, Robert Graves, Laurie Lee and Lawrence Durrell, exploring themes of youth, love, lust and longing. 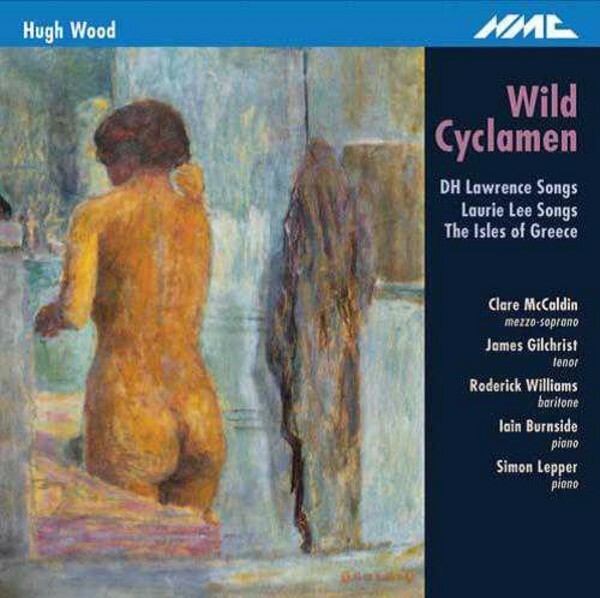 Wild Cyclamen (2006) � a song-cycle from twelve individual, unrelated poems by Robert Graves � depicts the rise and fall of a love affair. Hugh Wood explains: �Graves wrote no such cycle but I�ve dared to construct one. It doesn�t achieve too strong a story-line, but the songs are meant to be sung in a fixed order�. The DH Lawrence settings (1998) include three poems Lawrence wrote about his days with Frieda in Bavaria, and the Isles of Greece (2007) is a compilation of poems celebrating various aspects of Greek life and its people. The earliest works on this recording are the Laurie Lee Songs (1956-58), written when Hugh was in his mid-twenties.